My agency has been an ITC Insurance Website Builder customer for many years, and we have enjoyed and appreciated their services these many years. They do a very professional job building the website, and they are also available for prompt, courteous and knowledgeable service after setup. The functionality and professional presentation of our site looks great and really helps us to stand out from our competitors. We are now taking an average of two unsolicited quotes a day from our new website. Thanks for helping us save time and get more sales! We are very happy with our website. It is very functional as it integrates with our comparative rater, allows us to update the site ourselves, allows us to set contact parameters when someone is requesting service, and allows our clients 24 hour access. The big selling point for me is that there was no contract required, so if at any time I was not satisfied with the company's service, I could discontinue using them without any penalty. Your website is awesome, I am completely blown away at how easy it is to update and how thorough it truly is for an insurance agency to have the look and feel of some of the largest agencies around. We received more customer service in one day during the initial website development phase, than we received in two years with our previous vendor! We really like our new website. There were many designs for us to choose from. The administration console lets us set up and change our site as often as we need to. Once we make a change it shows up instantly online. The post sales support has also been excellent. Awesome product...All the tools in one location! Found the Website very helpful with building our company. Many thanks to Insurance Website Builder for helping us get our website up in an easy and affordable manner. The website is very easy to edit, so as new information breaks, we quickly update our site. We find the sales and support staff to be very attentive -- quick to return calls and answer questions. We would highly recommend Insurance Website builder for any agency. From the initial process everyone has been so helpful. The ability to have a professionally done site yet be able to tweak it and personalize it on a regular basis is outstanding. The user console is very good and easy to work with. I recommend Insurance Website Builder to anyone wishing to grow your business. Using the Insurance Website Builder is really easy to do. It makes putting a professional website together much easier than any other option. I've been pleased with the service and support provided. Insurance Website Builder is great! Our sales representative was able to describe to us all the features of the product in great detail, not to mention explaining all the SEO terms that were foreign to us. The support team is very patient and understanding of our needs. Great looking product that has been working for us! The online quoting has been fantastic feature that we have been getting business from that we probably wouldn't have before. Insurance Website Builder is the best investment I have made for any type of marketing vehicle. It has all the features of other agency building web based business at a price that even the smallest agency can afford. The agency I was with before I opened my own agency is using a much more expensive program that is not nearly as user friendly and effective for about 50 times the price that I am paying for Insurance Website Builder! Everyone has been very knowledgeable and friendly. The sites are very attractive and the SEO is great. ITC is a true value added service to our internet presence. Product is perfect for the insurance business and support is great. Love Insurance Website Builder. It allows me to focus on what I do best. As a result of Insurance Website Builder, we have gained new clients that have accessed us through our website. Gurry & Rogers Insurance Agency, Inc.
ITC is a great place for independent agents to set up and maintain a good looking website. Their service staff is top notch. The website set up was done quickly and as ordered. The tweaks were done immediately. And the options were more than expected. Being a small insurance office, Insurance Website Builder has allowed me to have a much larger professional pressence on the internet. With the website features and abilities available from Insurance Website Builder, the benefits are endless. We have an greatly improved efficiency with the addition of our 24 hour employee. Easier and more professional looking than I ever expected. If you are in the insurance business, ITC's websites are definately a great way to set up your cyberspace storefront. They have done a lot of research and all included links, FAQs and tools you will need. Setting up the mail, SEO, blogs and social networking links is easy, so is managing all of it. We have greatly increased our professional appearance and ability to conduct business online without having to hire a new tech person. Insurance Website Builder has an awesome website product and really puts the control in the hands of the client. They have all the bases covered and constantly look for ways to improve their product to satisfy the customer. Highly recommended! We are a multi line insurance agency working with personal lines, commercial lines, and employee benefits. We have been in business since 1972, and over the past few years have looked into developing a website. We have spoken to several vendors and it always seemed like they just didn't understand all of our needs as an independent insurance agent. We also felt like we were going to have to do an incredible amount of work on our end to get the forms we needed on the website. They just didn't have a lot of standard quote and service forms that we would use on a day to day basis. We were referred to Insurance Website Builder from a couple of other insurance agencies that had used their services. After a testrun of the services via a webinar, it was evident that Insurance Website Builder was light years ahead of the competition. One of the first things that we noticed was their knowledge of the insurance industry and that they specialized in insurance agency websites. They have a vast library of built in forms, saving you tons of time and money in developing your site. The process of designing the website was very easy and quick. The support and sales staff were very knowledgable and easy to work with. We were up and running in a very short period of time. Everyone from the sale to the final website setup more than exceeded my expectations. They made sure I understood every step in the process and followed up to make sure everything went smooth. Insurance Website Builder knows what agents want because they understand the industry and what we need. Very reasonably priced, very good features, and promise to continue to improve the product makes this the best website service for insurance agencies period. I brought in IWB because I’m not a graphics person, and I wanted more advanced features than I knew how to do but still be able to retain control of the website. I update the website all the time as it’s easy to do with IWB. The great thing about ITC is that they don’t wait for the technology. They watch the upcoming trends in the industry and add it to Insurance Website Builder before agents even think about it. When we found Insurance Website Builder, we just couldn't believe all the features at a fair price. Have recommended it to several friends. Support is very helpful! She stayed on the phone with me while contacting my other web service provider and she knew what questions to ask! They gave us the run around but ITC's Support kept record of all of the information I needed to switch over. Which alone is saying more than my current provider. The site looks good, was easy to setup, is easy to update, and includes accountability and measuring tools. I haven't found this in any other solution for the price I get here. Prior to moving our site to Insurance Website Builder, we designed and developed pages on our own. We were limited in our time that we had to devote to the changes and attention that a good site requires. Insurance Website Builder provides us the ease for developing a slick, professional design with the tools necessary to run an effective site. By taking advantage of the SEO settings and recommendations from tech support, Insurance Website Builder has helped our agency to show up on the first page of Google without having to pay a steep monthly fee for someone else to do this for us. Our website was over 8 years old and looked the part. When we decided to look into updating our site, it took me one pass through your website to decide you were the ones we wanted to work with. Functionality along with a very professional look was exactly what we were looking for. We tell everyone we know to give you guys a call. Insurance Website Builder is a simple and professional way to build a custom website that is your own. With the help and knowledge of the support staff they make it an easy process of helping to filter your ideas of what you want out of your website and to build it to your specifications. I originally cancelled my Insurance Website Builder Basic website because I was promised greater traffic and marketing tools like newsletters. I switched back because ITC is solely focused on the insurance industry while the company I left them for is not. My previous website had content about the mortgage industry, which I couldn’t remove. They ended up being too much trouble so I switched back to ITC and Insurance Website Builder for a Gold website with the SEO features and marketing tools like newsletters and free report marketing. ITC and Insurance Website Builder are dedicated to helping insurance agencies, and it shows in the quality of my website. I get so many hits on my website and having the online application and the request a certificate that can be sent to me makes this a great feature. We have so many customers that keep going to my website to request a certificate that it keeps my website very active. Thanks again for a great job on my website! It's the best think I could have done. You guys have been great to work with. I have really enjoyed working with ITC for our website and other services. The support staff is great, and they take the time to make sure all my questions get answered. For a start up operation like ours, it was fabulous to have people handle the tech side of things so we could focus on other issues, like selling. Insurance Website Builder is truly remarkable. The websites the team at ITC creates look professional and leave you with plenty of room for customization. It's so easy that I was even able to explain how everything works to my father, the owner of the agency. Considering that my father is a 59-year-old man who still can't figure out how to answer his smartphone, I think that's pretty good. The customer service is highly competent, and they are a pleasure to work with. You won't run across a problem they can't fix. And at the prices they charge, it's almost too good to be true. Since signing up with ITC for SEO, we have seen an increase in traffic to our website almost right away, and over the last two months, 90% of the new business we are writing on the personal lines side has come from our website or new landing pages. When we asked how they found us, they said they were looking for a local agency and googled ""insurance Oakdale." We tried to do SEO ourselves with no success. Having ITC do our SEO, website, social networking and email marketing is one of the best business decisions I have made. It frees us up to do what we do best: sell insurance. ITC is easy to do business with and once everything is set up, they do all the work. The best feature I like is that ITC specializes in the insurance industry, so they know all the terminology and procedures and are focused on getting results. The monthly reports are also very good. You can see what's working so you can make adjustments to increase your standings on all the search engines. Since we started with ITC, our phone volume has increased, and our close ratio on those calls is 85%. We have had a lot of positive comments from clients and other agencies on our website and Facebook page. We also have a lot of positive comments on our email newsletter. I would highly recommend ITC. They are easy to work with, knowledgeable and very reasonably priced for the services you get. Before we went to the Internet marketing solution, we were getting less than 100 hits per month and didn't show up in the search engines. Now we're getting more than 10 times that traffic per month and show up in the top 5 search results consistently in at least three different search phrases. ITC's support staff is professional and always willing to offer us advice on how to push business to our website. They are a constant source of information for our agency and always there when we call or email. The traffic to our site has increased tremendously, and the leads being generated are top-notch. ITC's Insurance Website Builder is a very comprehensive and easy-to-use product. It has a ton of features for you to choose from, and it's very easy to design and tailor your website to show the features that are important to you. Their customer service is always there to give you guidance and suggestions when you need help. I am happy to give a ringing endorsement for this product. Since we began using ITC’s Insurance Website Builder and SEO services, the most consistent and obvious improvement has been the increase in lead generation. Our website traffic is up, but the new requests for quotes, online payment processing and customer service is outstripping the percentage increase of site traffic. We specialize in non-standard auto insurance, yet the SEO team has helped to boost our rankings for homeowners and renters insurance keywords, two relatively new lines of business, that until now we had been selling totally in house. What we really like about ITC is the accessibility we have to the SEO team for questions and site updates, the reports they provide with measured goals to judge site performance and the ability of the SEO team to implement new features and tweak the website to maximize its performance. The Insurance Website Builder team is fast, very friendly and are really good at what they do. Thanks for taking care of me and my business. Insurance Website Builder is a comprehensive tool that allows users to easily set up and access the features of their website content. The interface of Insurance Website Builder is so user-friendly that any person with little to no technical background can create an amazing looking website. I have been a client of ITC for more than two years and am very pleased with the results and service of the Insurance Website Builder team. We have been nothing but pleased with our experience with ITC's Insurance Website Builder… both with the product itself and the wonderful support team that comes with it. They are always available to answer questions, assist with website changes or to simply make the changes for you themselves! We appreciate the valuable services they offer their customers such as email hosting, social media services and a website report card that regularly tells us how our website is performing and what we can do to maximize its potential. I would recommend their services to anyone. Insurance Website Builder is the most efficient, client-centric website solution specifically for independent insurance agents we've ever seen. And the flexibility to instantly update information is key in this rapidly changing marketplace. I will recommend this solution to all my colleagues. Our website is a beautiful thing! This is all in thanks to ITC's Insurance Website Builder. They were fantastic to work with on the setup and design, helping to make the site fit our needs and the look we wanted. ITC has succesfully designed websites to meet the needs of several of our companies. We are very pleased with the service and support that we have received over the years. A great group to work with and their tech support is quick to respond and very helpful. ITC's Insurance Website Builder has helped increase our sales greatly by showing how professional we are with a full-service website. Every time I have had to contact technical support, the service has been outstanding. Actually, everyone that I have dealt with - from sales to service - has been wonderful to work with. Excellent service all around. Our website has been a miracle for our small business. It makes us able to compete like a much larger company and has given us more avenues to market ourselves. I never thought that having a website could be this easy. I can adjust anything I want. It is so simple, and it never stops looking professional. Amazing! I'm new to website setup and maintenance, so I was really pleased with how easy it was to use this product. The videos are helpful, and I quickly got used to customizing and maintaining our website. When I did run into questions, the support team was also great. Thank you! ITC’s staff has always provided us with excellent service. Ever since we established our website, ITC has responded quickly to our needs, especially, when we recently changed internet carriers. ITC performed far better than the other teams we dealt in our conversion. We would highly recommend ITC to other insurance agencies because of their high-level of knowledge and customer satisfaction. My website went up quickly in five days. The Insurance Website Builder team was amazing at getting it all down. They also built fantastic landing pages for us andquickly got those on the web for use. The monthly SEO services have opened my eyes to what I need to know about getting to the front page of Google. Great service and great knowledge in an ever-changing Internet world. They are great to work with. We are very happy not only with our website and the technical support, but we have seen a dramatic increase in sales from our new website. ITC has been very easy to work with and well deserving of 5 stars. ITC's Insurance Website Builder is an outstanding alternative for building and maintaining our website. It is cost effective, flexible and capable of much more than we will ever need! As far as creating a professional and easy website that will not break the bank, ITC definitely does the job! I told the sales people..."what turns me off to website vendors is when I find out I have to do their job. If you are the experts that you claim to be, I want you, the experts, to get this done. I don't want to learn how to be a web-designer and experience the frustrations of doing the job of someone whom I've hired." So far, ITC has delivered. ITC offers the best insurance specific websites available. It is a great value! Our website has surpassed expectations. It looks very professional, is easy to use, and has generated a lot of business for our agency. The Insurance Website Builder team does a great job of working for our needs and has exceeded our expectations. I love the look of our website and also the fact that when our clients request a quote, the information requested allows us to process a complete quote without having to call the customer back first. I like that we have flexibility to also make edits on our website, definite must for any insurance agency! We are extremly happy with our new website! The look and feel compared to our old website is 200% better. We have been able to create new business just within the first month of launching the new website. I would recommend the Insurance Website Builder to anyone! I am an insurance broker in California and buying an ITC website was the biggest thing to happen to my business. I saved time, money, and headache generating my own leads. After about 7 months with the website, I am writing about 50 policies a month from the leads I generate through my website. Thank you ITC for providing me a product I don't mind paying for! I've been with ITC for years now and feel I have a great website at a reasonable cost with capability for just about all I need. The customer service has been great. Our experience with the Insurance Website Builder team was great. They make the process extremely easy, and the design team did a fantastic job. We have been with ITC's Insurance Website Builder for more than four years now, and we are happy to say that not only does the team do an outstanding job, their customer service is impeccable! Thank you for the great job that you do! We've been with ITC for our website and related services. The custom programming we required as a multi-state agency startup with a particular personal lines focus was handled expertly and within budget. We are branching out to more states and potentially even a new venture. With those plans in the works, we need a reliable website partner with particular skills in customer service. We count on the Insurance Website Builder team to get us through those difficult and new navigation areas. The online help videos are great too! I have recommended ITC to many others. If you choose ITC, you will appreciate the value... the security level alone is worth the monthly fees. I started with ITC less than a year ago. Our agency had no Internet presence at the time. Within a few short months, we had dominated our niche market keywords. I have been impressed with how easy the site editor works and how quickly I can change our targeted market. It has been a solid boost to our agency on many levels. Thank you, ITC and staff! ITC has provided us with excellent care and support from all staff memebers I have had encounters with. As a first timer, they made it very easy for me and are always quick to respond to my problem. They were very patient and helpful. We are extremely satisfied and happy with the outcome of our website. Thank you so much for all the support and work! The service we have received from technical support for ITC's Insurance Website Builder has been tremendous. The original build of our website was also a very smooth and efficient process with great support. One of the reasons I went with Insurance Website Builder is because they provided a large number of sample sites, which allowed me to pick and choose which features I wanted from various samples and custom build our own website. The do-it-yourself blogging page makes it very easy and simple to write our own posts, and the service has been impeccable when it comes to being notified that someone is requesting contact through our site, or when someone comments on our blog. We are extremely satisfied with Insurance Website Builder. Our website from ITC has been by far the best return on investment our agency has seen. The results have been better than we ever imaged. The staff is very friendly and knowledgeable and consistently provides exceptional customer service. I highly recommend them! ITC's Insurance Website Builder in my opinion gives an agent the most flexibility in managing their own website. Service is great. Our website only went down one time in several years and was back up very quickly. It ended up not being their problem as well. We have been using Insurance Website Builder for more than three years now. Our company is 100% Internet-based as we spent tens of thousands of dollars in online advertising, so it's very important to have a reliable website. Insurance Website Builder has been a very reliable host as we never had a problem with them. Their staff are extremely friendly and knowledgeable. We have been very satisfied the last three years, and we hope to keep our relationship for many more years to come. The decision to choose ITC's Insurance Website Builder has been the best decision to help our agency grow since inception of 2008. The website is exactly what I need. I love that people can get a quote, with multiple companies, even the ones I am not appointed with! I also love that their quotes have actual numbers at the end to compare! Insurance Website Builder is extremely easy to setup and tweak as needed. It is very user friendly and took much less time to have our website up and running than I anticipated. Bogart and Brownell of Md Inc.
ITC's Insurance Website Builder is easy to use, affordable, customizable, and the end product ends up being exactly what you needed. Cost effective, speedy delivery, good support from start to finish. The choices are amazing - setup procedure very well defined and support - YES! More than any other system we looked at - at a GREAT price. Your website is so good I keep hoping my competitors don't find out about it. As a brand new agent, I had no idea how to establish a web presence. Your team really helped. The site is turnkey, and I was up and running in no time. The monthly fee is nominal compared to what you get! I love it! I have been with ITC for a little more than a year now and the quality of their product and support continue to surpass my expectations. The systems they have in place and the back end work the website actually does allows me to produce the volume of a fully staffed agency. As a one-man independent agent, it's a life saver to work with people I can count on and who have my success in mind. The way the world has changed has affected how we solicit and provide services to our customers. ITC has helped us reach customers in new effective ways. We wouldn't be where we are today without Insurance Website Builder. They make doing business easy. Any time we feel like there's a need or something we should be doing with our online marketing, we find out ITC has already figured it out. I couldn't be happier with this turn-key interactive website from ITC! We have more new business prospects coming in from internet traffic, more existing customers being serviced through the website, and a lot more people staying on the site and clicking through to other pages. The price is highly competitive and it is geared exactly for the industry we are in. Updating content is also a breeze. Thanks ITC! We Love it! After several failed attempts to create my own website and build my own internet marketing plan, we decided to let the experts take the ball and run with it. Within the first month, we started getting results and the last 3 years have way exceeded our expectations on what could be accomplished through organic search results and weekly email marketing pieces. The (Insurance Website Builder) Admin Console is very well designed. I have worked with a lot of other CMS and it is extremely intuitive. The team is a pleasure to work with on the SEO side. The customer service team responds quickly with answers that make sense and lead me in the right direction. The entire ITC team is wonderful to work with. This is the 4th time for me to have a website made and the first time someone has explained to me the right way of doing things. So I greatly appreciate this. I wished I had contacted ITC 5 years ago. The set up was easy, and the staff was friendly and very efficient. The Zone Insurance Group, Inc.
Insurance Website Builder was everything they said it would be. The website is simple to navigate and make changes to. I love that I have the flexibility to make my own changes and maintain my website. It is so simple that I was relieved that it really was simple. Also, I now have a professional website. During the process my rep was exceptional and patient with me. She answered all my questions and helped me complete what I needed to do. She took the time to wait on me when I was interrupted with business and couldn't meet our arranged schedule. I love my new web page. [Insurance Website Builder] has to be the best web hosting in the marketplace. We are very happy with our website. It is a very professional looking website that fits all our needs. We looked at several websites before we settled upon Insurance Website Builder. It was the best choice at the best price. Working with Insurance Website Builder was much easier than I expected. The response to my questions and requests were quick and always helpful. Getting the web pages up and running was pretty easy and not as difficult as I would have thought. Simple, easy to use and useful. Insurance Website Builder is an excellent product geared toward the insurance industry. Our agency has used Insurance Website Builder for some time now. We get many compliments on our company's website and have found it to add new information that will be helpful to our clients. Insurance Design & Placement, Inc. Many web host providers have an all or nothing approach. They can either build you a $50,000 website or a $500 dollar website. We chose ITC because it had options that were perfect for what we wanted to achieve now as a part of our overall marketing plan. In addition, we know that when we need to upgrade or change three years from now, ITC will be able to handle that and meet those needs as well. I was looking for a digital marketing expert. ITC displayed outstanding knowledge and exhibited a genuine willingness to understand what my needs were. What really makes me feel comfortable is that they go above and beyond to earn my business! Great selection of themes and well-built content management system with easy navigation and backend control. Fantastic customer service and response time. I am recommending ITC and Insurance Website Builder to all of my insurance industry clients! Thank you for the awesome results! The sales, design and technical teams have always been very personable to work with. We have asked for some specific needs to be taken care of and ITC has always tended to each of them very well. Great product for agents looking for a stronger web presence. Our old site was only getting about 100 hits a month. Last month we had 600 visits to our site! The folks that will build your site are top notch...you could not ask for more attention to detail then they provide....I am in the process of starting a new site using ITC because I know they will deliver. Jackson Murphy Insurance Group, Inc.
We are so happy to have partnered up with ITC. They have give us all peace of mind. The sales, design and technical teams have always been very personable to work with. We have asked for some specific needs to be taken care of, and ITC has always tended to each of them very well. From the first day I started my insurance agency to four years later, the services keep improving and the technology follows. I truly had a pleasurable experience working with the team. Great product for agents looking for a stronger web presence. Our old site was only getting about 100 hits a month. Last month, we had 600 visits to our site! Great website and people behind it. ITC has great staff, and I cannot remember my website being down in two years. If you are an insurance agent looking for a company to partner with, it is ITC. Their staff understands the insurance industry, the needs of the independent agent and also what it takes to build a successful agency website. A regular web developer could never compare to the service and quality of the Insurance Website Builder experience. When I was starting my agency, I had enough on my plate familiarizing myself with running the business. The last thing that I wanted to do was get involved in a time-consuming process of designing and building a website. The templates offered were excellent, and ITC made the design process simple and quick. If you want a website that is dependable, ITC is the place to go. Excellent and timely in the delivery of services. The selection provided to pick from for our new website was above all the other competitors. Insurance Website Builder even provides room for an upgrade and offers marketing growth as an add on when we are ready. ITC has done a wonderful job of supporting our agency with both website creation, marketing and SEO. They have empowered us to have the freedom to make adjustments on the fly, without any hold-ups. We have access to most everything we need to present a professional appearance with our digital marketing and presentation. We would recommend them to any other agencies, just not to our competition! We are pleased with our website from Insurance Website Builder. It is easy to navigate and meets our needs well. Support is always quick to respond. Every person I spoke with was very friendly, professional, and always willing to help. No matter how much I didn't understand, nor how much I needed explained, they were always willing to help until I was satisfied. I hired ITC to build our rapidly growing agency a world-class online insurance office that is second to none. Quite simply, they over delivered. ITC is a first class group of cutting-edge professionals who utilize every available technology and make it work for busy agency owners. Our first organic lead came in less than an hour after the system went live. Email campaigns, smart phone apps and adaptability, customer service links and forms, text alerts/marketing, micro sites for specialty line precision lead generation and killer video. They have it all. The best part, we own it. I'd love it if none of my competitors ever hear about ITC. We now have a system that competes with carriers and captives. When it's all about the ROI, call ITC. Anderson & Anderson Insurance, Inc. I love how easy it was to work on the website. At first I had found the idea of Insurance Website Builder a little daunting. But, once I began working on the website, the WHOLE process went smoothly. If I had a question on anything, I was answered promptly. I would highly recommend this program/process to other agencies! We have seen a steady increase with the marketing we have done using Insurance Website Builder. It is easy to use and make changes while allowing us to maintain a professional look. At the beginning of building [my website], I felt your people heard and care about my needs. You speak my language and understand the kind of business I have. Insurance Website Builder was easy to work with and the website was online the next day. We have had more quote requests since our website has been activated. It was great working with the website coordinator during the initial setup period! It was easy to get the website up and running and it looks great! Great staff and very helpful. They have been with us every step of the way. We are not great with computers and they have made it easy for us to do what we need to do. ITC was recommended to us by another agency and we couldn't be happier with the ease of setting up our website, and the willingness of ITC to work with us on the design and layout. We are very proud of the look and flow of our site and recommend ITC often. When our agency was searching for a web host we found that ITC had everything we were looking for and more. It's cost effective and customizable. Offering a strong and professional web page is important to any business but using a vendor that specializes in insurance provides that extra benefit we needed. I would recommend ITC highly to anyone. Experience with Insurance Website Builder and ITC's staff has far exceeded expectations. The best thing since 7up. BN Cornerstone Insurance Agency, Inc. Awesome partner for any insurance agency! Designed specifically for insurance agencies! Staff is incredible and always willing to talk and work with you. We switched to ITC in January 2014 and have been very impressed with the whole process. ITC exceeded our expectations. The expert advice from our website coordinator made this process hassle free and provided excellent service throughout the whole process and has always been available to take my call and walk me through any changes I needed to make to our wesite. Our company has been in business since 1850, with 9 locations, so finding the right website provider to carry us into the future was top priority. We research several website providers before choosing ITC. ITC is the total solution for our growing agency keeping us connected to our clients, while reaching new clients, in a manageable process. My website has created calls every day to my agency and it has been without question a cost free product and has given a great exposure with a very professional look. We are very pleased with the service we receive from ITC, the support we receive from the team at ITC is excellent. I do not have a lot of time to work on our website, so when I do and I need a question answered or help they are right there to help me. As an insurance agency we have several top quality programs at our disposal and I am very pleased we chose to go with ITC. Insurance Website Builder has provided our agency a platform for expressing ourselves in a new way. We are more noticeable and have been receiving more positive feedback due to our updated appearance and ease of doing business. So glad we found this product! This site builder was the easiest way to start a website. The sales team and the support staff have helped us in every way possible. We are not great with technology, but they made it easy to understand. My wife has done a great job of keeping the site up-to-date with ease. I would recommend this company to everyone looking to start a site. Since we started in 2010, we utilized the services of Insurance Website Builder. Last year we bumped up to a premier package and have increased our website hits and our professional appearance has never looked better. Love the setup for the admin portal. It makes things very user friendly to add, delete and change content when I need it without having to wait. Thank you for making my job as website content manager a lot easier. Insurance Website Builder helped me with a 2nd website to help the independent agent's try to reclaim our share of the market place!! I recommend your company to others all the time. I have been very happy with Insurance Website Builder and would highly recommend it to other people. They have a done a great job getting everything done. I spent over a year with another vendor and Insurance Website Builder did more in 2 weeks than the other did in a year. Insurance Website Builder is the best solution for a professional image. Insurance Website Builder is a great value. It allowed us to choose designs that we liked and customize our site ourselves. The pricing is very reasonable. The Insurance Website Builder team is very professional and have many tools that are great for customers. The Insurance Website Builder team always strategizes on several different SEO techniques to help our website build its ranking. They are easy to talk to, and they assist me with multiple marketing strategies that helps boost our website’s visibility. ITC is by far the best solution if you need blogging, website design, social media, and SEO work done. I am very pleased to do business with them, and I am already seeing results. 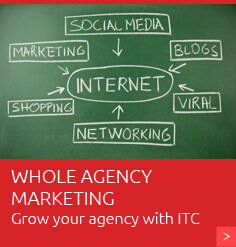 I use ITC for all my agency needs. From TurboRater to Insurance Website Builder, ITC has been more than a simple vendor, instead they have partnered with my agency to help me succeed. I have never worked with a better and more dedicated staff! We rely on ITC to do our SEO and PPC campaigns, but the staff there goes far beyond their scope of duties. They are always suggesting new ways to campaign and market our new venture and have helped create a complete plan for us. The Insurance Website Builder team has done an excellent job creating our website! They are easy to work with and are very responsive to our needs. The most impressive is how well we work together on creative ideas to make the website work the way we want it to work! We work as a team finding new blog articles, social media items, different ways to communicate with our clients and ways for our clients to communicate back to us! We are extremely happy with the Insurance Website Builder team! We have been using ITC for about four years now, and we love how it is a one stop shop for insurance website development. They are very kind and understand the needs of the insurance industry. They have helped us solve lots of problems dealing with online and social media issues!! ITC has been a wonderful resource for our agency. We have worked closely together on a number of website and AgencyBuzz projects, and they have been insightful. Their level of experience shows. I would highly recommend their services to any agency that wishes to grow! I love working with the Insurance Website Builder team. They are very knowledgeable. They help us market our website, handle our social media and discuss new strategies. We also use them to rate our auto carriers. Great, pleasant, professional and got me up an running in no time! It’s great to work with ITC. I am very happy with the website they designed for us and how fast their SEO has improve our ranking. When I need something changed, their response time is excellent. I recommend ITC to anyone in need of a website and SEO services. Working with ITC has been valuable from an educational standpoint as well as professional. My site is first class, and the knowledge I have received in regards to everything about the Internet and rankings has been extremely beneficial to the agency. We look forward to continued growth in all areas thanks to ITC. When we approached ITC, we had no web presence at all. Our web site had been quarantined by Google and my former web designer was missing in action. Thus, I asked a well-known authority on Insurance technology, Steve Anderson, for a recommendation of a reliable company that could design a web site for our agency and reestablish our web presence. Steve gave me a couple of names and one of those was ITC. After researching them on-line, I made an appointment to go by the ITC office so that I could check out their operation and I liked what I saw. They sat down with me and gave me a number of templates to choose from and explained the ITC role and agent’s role in designing the web site. ITC had developed their own content management system similar to “WordPress” in that it permits the user to make changes to the web site and to blog if they were inclined to do so. We signed up and were live in just a few weeks and we were very pleased with the appearance and believed that it would be a shame to have such a good looking site without any visitors. Thus we took another step and hired another division of ITC to improve the site’s visibility. Within a few months of launching our SEO campaign, we were on the first page of Google for certain key words and we were receiving more than a call each day. Our visibility has generated telephone calls that has more than paid for the SEO costs. In one month alone, August 2014, we wrote over $27,000 in new Commercial Lines new business premium. Peachstate launched its first website during the 2008/2009 business calendar. We were embarking on a major expansion from three founding offices to what has become today, 14 well-integrated branch offices covering the state of Georgia. Being part of the digital age was essential to consolidating our message and image throughout the state. Today our personal auto customer base ranges from Savannah to Carrolton and Macon to Cartersville. To say the least managing our core business while simultaneously building our web-presence was a daunting task. Research and some chance happenings brought us to ITC during the 2010/2011 timeframe. And as they would say “The rest is history.” ITC knows the insurance business, thrives on the Internet and has gathered a team of experts to not only expand our website-productivity (nearly 100%), they have imbued the web with our brand through Facebook, blogs and an array of backlinks. We have literally met and closed business with thousands of customers throughout the state. Without ITC’s guidance and support none of this would have been possible. ITC’s strategies allow us to meet, track, close and retain our customer base, 24/7. All within budget! Life is good. Thanks ITC! 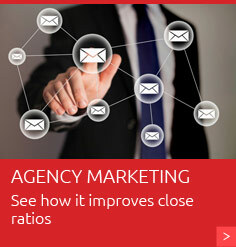 Designed perfectly for the needs of an independent insurance agency. The staff is very friendly and easy to contact. The team has been great to work with, understanding and patient. New business has increased which I'm thankful for. Insurance Website Builder has helped create a flow of traffic to our agency website that we weren't expecting. We get about 10 leads per week that come directly from our website. Overall, I’m very pleased with the style and design of my new website, mobile site, and their functionality. Looking forward to adding more features in the near future. The team is awesome to work with! ITC is a great company. We have had the greatest experience from day 1 with our marketing team. They go out of their way to make sure we are getting the best out of our digital marketing and we appreciate it. In the insurance business it is not easy to market and get your other work done, it has been the biggest help having them take over. From Sales to finish, ITC has exceeded my expectations. Fast and expert advice has made my website a success!! Thank you ITC for the great website design and awesome customer service! We couldn't be happier with our new website and its powerful capabilities! Great! ITC offers SEO reports and reminders monthly that really help us get back on track. Focusing on what will get our agency noticed by the clients we want to see our agency. ITC has met our website needs on every level. I recommend ITC to anyone looking for a quality website with great support and a fair price. Insurance Website Builder is easy to use, and the support from ITC is superb. They respond quickly to requests. I like that the blog is built into Insurance Website Builder so we don't have to use a separate service. If you're looking for a solution to get your business on the web with very little time investment, ITC's Insurance Website Builder is a must-have. The preloaded forms and templates make it easy to build out a website that will actually serve your agency. Quote forms, customer service forms, and preloaded links to carrier sites for client payments are essential to every agency in today's online marketing environment. We underwent a website upgrade to a responsive format earlier this year, and the process was very smooth. The site came together quickly and looks very polished. Insurance Website Builder has allowed me to generate enough weekly leads that I no longer have to purchase them! Insurance Website Builder meets our needs as a small business. ITC is a fantastic company with great people employed with knowledge of the insurance industry needs. We love our new website! Super easy set up with content for an insurance-specific user! ITC has not only provided us a beautiful and relevant web presence, but has also given us the tools to better promote that presence. Insurance Website Builder provided all the tools, training, and support that allows me to sit in the driver’s seat. We are a midsize agency and have had our site for 3 years. It is efficient, and we are always find new ways to use it. ITC built a simple, user-friendly website for a price no one could match. The interface is perfect for insurance agents and clients. I would have paid more had I known how happy I would be with my website and back of the house support. ITC's willingness to be as helpful and available as possible when I need them is very valuable to me. If you can believe it, I got a call to see if there were any changes or updates I needed to make. What company checks on you without selling you something - not many! The staff is second to none. Insurance Website Builder is easy to set up, and making changes is easy to do. The customer service is an excellent backup when there is something you don't understand how to do it yourself! Our agency has had such a great experience in discussing and developing our website that it feels as if we have found a true partner in Insurance Website Builder. I am the marketing manager at our company. I was not here for the initial setup or design and have not talked to sales. The tech support I have received has been fantastic! Our website looks very professional and the navigation is simple. I wouldn’t be where I’m at today were it not for ITC and Insurance Website Builder! Thank you so much for this service and product. Insurance Website Builder put me on the map. And first page of Google! Insurance Website Builder has very helpful tech support. There when you need them and they don't make you feel stupid. When looking for a new website I chose ITC since it was specifically designed for insurance businesses and it does a great job of telling what we do for our clients. I've been a client of Insurance Website Builder for many years now. The setup and design was fun and mostly easy back when we first started using it. The best thing about it is the reliability and the interactive design options are also amazing. Our office has used ITC for 10 years now. They offer reliable email and web services for us with excellent customer service. We have recently added TurboRater and are excited to be part of their growth to greatness. We have been with ITC for several years. The tech support is outstanding. Our website has never gone down. Questions are always answered immediately. Support from my SEO coordinator has been excellent and informative. The implementation of automatic blogs on our website has been a godsend. Assistance from our website coordinator has been very helpful when I need to make changes to certain areas like the heading and footer. Insurance Website Builder provides a professional looking website that has all the tools necessary for the clients/prospects that log on to it. Insurance Website Builder made a very fluid and easy to use website for us. We love that we can log in and make changes as needed. Tech support is great in helping with ideas to increase traffic and leads. We have had the greatest experience with ITC, nothing but great people to work with. I have recommended ITC to many, including a few not in the insurance business. Overall good value and a relatively easy way for a business to have a professional website. Insurance Website Builder is simple and very user friendly! It is very quick to make changes ourselves, which makes it very convenient. Dean Heckle & Hill, Inc.
We started using ITC several years ago after a convention presentation. Last year we upgraded to Ruby level and have seen a pickup in inquiries. We are still trying to tweak our website with their assistance and the results continue to improve. Service is outstanding. A prospect found our website when I posted an ad on Google. They completed the quote form and emailed to me. Completed quote quickly and wrote business. The Insurance Website Builder sales and service technicians have always been extremely helpful and a pleasure to work with. Devette & Ford Insurance Agency, Inc. The process seemed daunting at first, but the support staff assisted me greatly in setting up our website and it looks beautiful and was much easier than I thought it would be. Davis & Massey Insurance Agency, Inc.
Insurance Website Builder does a great job at providing user friendly websites for insurance agencies. There have been a couple times where we needed assistance with our email. We like the fact that we can always get right through and get immediate attention and solutions. R Hobbs Insurance Agency, Inc.
Great service, easy to use and great price. From the beginning, the staff and product has been so great to use/work with. I have already referred two of our partner agencies to use ITC. The Insurance Website Builder has streamlined the process for agents to attract and serve customers online. The personal consultations and custom designs go a long way in boosting an agency's online presence. Insurance Website Builder received a rating of 4.8 out of 5 based on 219 reviews. Reviews and testimonials are provided via quarterly surveys and published with permission of respondent. - John Barbati, Penn Health Insurance Solutions, Inc.